Our guest for this episode number 159 is known for meatball sundaes, purple cows and unleashing idea viruses. He’s written books on these very topics. I’m not talking about a mad scientist or a performance artist. 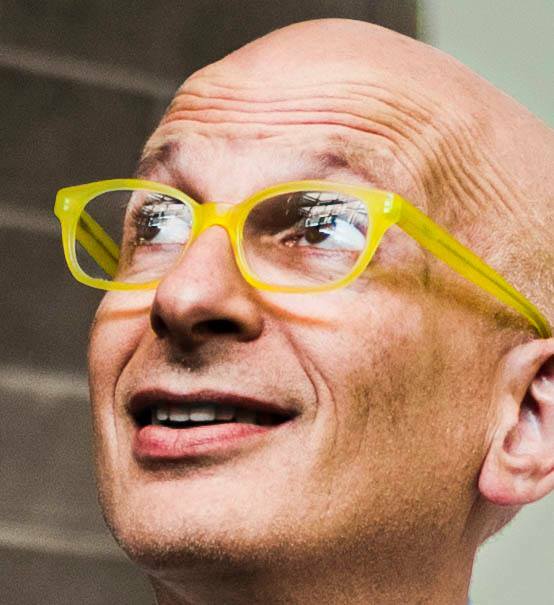 I’m talking about the legendary author, entrepreneur and teacher, Seth Godin. 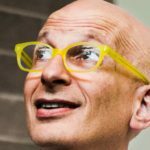 Seth Godin’s reputation precedes him. I can’t tell you how excited and honored I am to have had the opportunity to interview him. He’s one of the true godfathers of marketing. Seth is a master at cutting through the noise and cutting right to the core of the matter. 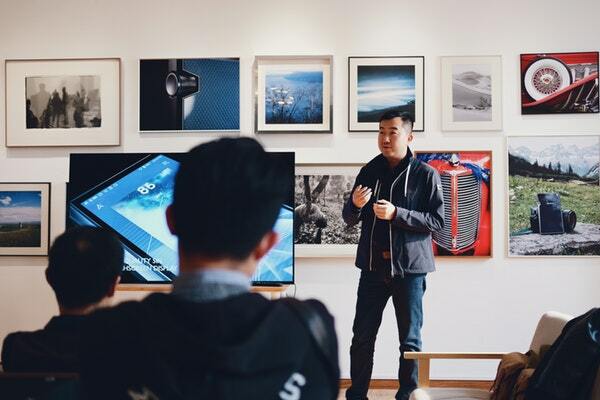 His provocative ideas have garnered him much attention, but they have also deeply reshaped the way we think about marketing. 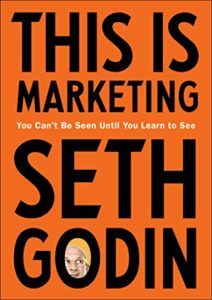 Seth is the author of nineteen bestselling books including his book, This Is Marketing. 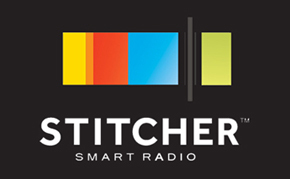 He’s not just a prolific author, he’s a prolific blogger and he runs an awesome podcast, Akimbo. His quote adorns the back cover of my book, The Art of SEO. It meant a lot to me to have the endorsement of someone who is a marketing hero to me. Stay tuned as we go deep and philosophical about marketing and some other mind-blowing topics. Seth, it’s great to have you on the show. Through the miracle of technology, you are more than 10,000 miles away, I am more than 10,000 miles away, yet here we are sounding like we’re at the same kitchen table. We are metaphorically at the same kitchen table. I’ve learned such important concepts from you that I feel like the kitchen table conception of my multiple companies, you have at least some credit in the creation of those. I aim to create remarkable campaigns, remarkable companies, remarkable relationships. I tell everybody I know that the definition of remarkable according to Seth Godin is that it’s worth remarking about. Maybe we should start there that whole concept of remarkability and the Purple Cow. What would you say is the most remarkable campaign, company, product or service that you’ve seen since you’ve written the book? There is almost no such thing as a remarkable campaign that’s also effective. It is super easy to run down the street with your hair painted green wearing no clothes and people remark on that but they’re not remarking on the work you’re doing, they’re remarking on the hype. Ad agencies have been struggling since the demise of television advertising to stay relevant. What they ought to be doing is working on the products and the services, not the hype that goes around them. In terms of products and services that are remarkable, the ones we’re remarking about it is built-in, are by their nature, the most effective ones. For example, you can’t use a fax machine by yourself. You have to have someone to fax to. Everyone talks about in the old days getting their accountant or their lawyer to get a fax machine, so they could fax them. This network effect is how Facebook became one of the most valuable companies in the world because Facebook works better if other people you know are using Facebook, and so you talk about it. You can say, “That works for them, but how do I make my small organization, my product or service that isn’t going to be a giant thing remarkable?” It works in business to business settings, it works in tiny settings, it works for summer camps. If our summer camp has two families from Cincinnati, it’s not going to grow in Cincinnati because it’s too risky to talk about the summer camp. On the other hand, if you invest geographically so now there are eight or ten families in Cincinnati, people will talk about it because people like us go to a summer camp like this. At the tiniest possible level, this network effect of remarkability kicks in. I’m not on the clever end of the remarkable spectrum, I’m on the community end of the remarkable spectrum. One idea that had network effects was a campaign and was also world-changing was the Dove campaign where they brought in a sketch artist like a crime scene, the guy who do the criminals. They describe the perpetrator. These women describe themselves and the sketch artist comes up with something so grotesque and ugly. Then the same person is being described by a friend and they look radiant in that sketch. How impactful was that in changing people’s minds and giving them insight into what women think of themselves and how they see themselves? There are definitely network effects built into that. Is that an example that you think highlights the power of remarkability or is that in the middle of the spectrum? It’s a great example. Now we’re going to be able to talk about some of the other things that I’ve been writing about for the last years. Part of it is, “Let’s make a video that after it’s made will reach millions of people at no cost to us,” and I give them huge credit for that. It’s important to remember though that the Dove people, their offices are six cubicles down from the people who make Axe, which is a misogynistic version of the same product. The real question is, “What story do you tell yourself when you wash with Dove soap?” By creating an identity around a generic product, that’s where the value is added. You can buy soap cheaper than Dove. When you buy Dove soap, you’re not buying better soap, you’re buying the story you tell yourself. By creating an identity, by then using the video to put clothes on that identity to make it have a memory for us, that is the value they create and it is ultimately generous. Dove gets paid extra for their soap but it’s generous because Dove’s a bargain. If you can get peace of mind for an extra $0.20 from a bar soap, that’s a bargain. It’s that video that enables the soap to tell a story. You’re part of the conversation, you’re part of the movement because you are buying that bar of soap only because you are aware of it. If you weren’t aware of the campaign, you wouldn’t be part of that conversation. People who shared it were sharing it as a way of making a statement about themselves and their friends. They shared it selfishly. They didn’t share it because they like Dove. They didn’t share it because they want Unilever to succeed. They shared it because it was a way of saying, “This is something I’ve been trying to say but didn’t have the words to say.” Another example of this in this very similar vein is Susan Cain‘s TED Talk. Susan is terrific. Her talk is good but that doesn’t explain why it’s one of the most popular TED Talks of all time. The reason it’s so popular is that it’s about shyness. What easier way is there for a person who feels shy to say, “Look at me, feel me, understand me,” than to easily forward a link to other people? By Susan acting as a spokesperson for this untapped need, this desire to see and be seen, she was able to do something that’s remarkable. Would you say that all sharing online is selfish? There’s no question about it. We just have to define selfish as it might not be in my ten-second short-term interest to do it but in the long run, consumers only do things that are a bargain. They only do things that are selfishly in their interest. It might be that their interest is to feel altruistic but we don’t do it for anybody else but our self. It helps us to look more magnanimous, more thoughtful, more compassionate, more loving, funnier or more successful. It’s about us and our positioning than it is about helping the others that we are sharing that video or whatever that piece of content is with. 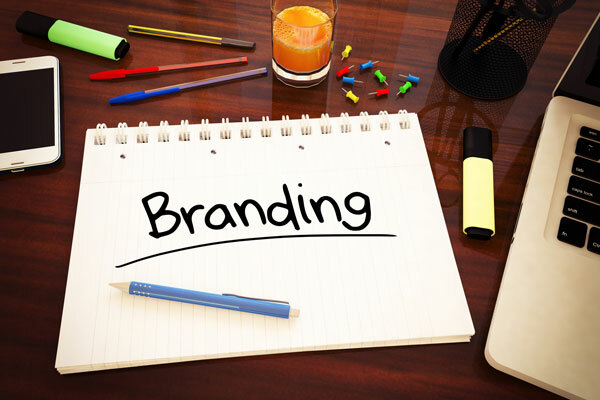 Creating an identity around a generic product is where the value is added. Would you say that companies can have humility? Could Dove have that as part of their brand identity when they’re just six cubicles down the same parent company owns Axe that’s misogynistic and has a real adversarial relationship with the market? How do you think we as consumers can change the conversation that Axe is initiating? Let’s say that we are in Axe’s target market. I’m a middle-aged male and I do have some Axe products. I use their deodorant and I don’t like that conversation that they’re creating women as objects. There are some very funny commercials, but they are at women’s expenses. How does a consumer change that conversation? The amazing thing is that in our hyper-capitalist world, consumers have bought into this idea that they are powerless when they’re insanely powerful. The number of people who need to be organized to get the attention of a corporation is tiny. Ten busloads of people are enough to change the conversation at almost any boardroom. What we see in terms of the disorganized meta changes in our culture is in the last few years marketing messages, advertising messages, the things that are on the menu at restaurants, the way airlines talk, all of those things have shifted way more dramatically than we could ever remember. If you think about the civil rights movement and how many years it took to make it legal for people who were black and white to marry each other in the United States. You compare that to how quickly marketers have responded to outrage, it’s stunning. Axe is going to stick around for as long as there is a certain person who identifies with that advertising and buys the stuff. They don’t want the advertising because they want to, they’re only advertising because it works. It’s easy to feel powerless as a consumer but we can organize with each other faster than ever before. What these successful companies want to do is succeed and they want to lead. Some of them are doing more leads than ever. They’re showing up and speaking up and saying, “This is what we stand for.” It’s not all in the direction of progressive values. It’s what does the person behind that company believe. The second part of it is also the successful ones are listening. What are people interested in doing? The essence of what I wrote about in This Is Marketing is people like us do things like this. This is the definition of culture. It changes faster than ever. I still remember the guys at Google gave me a T-shirt probably when they only had 100 employees. I was wearing the T-shirt at the Union Square Farmer’s Market in New York and this woman about ten booths away screamed, “Do you work at Google? Google is my friend. I love Google,” and she walked over to talk to me. This was when almost nobody knew what Google was. It only took another couple of years after that before people like us look up stuff on Google. That’s what permits the site like, “Let me Google that for you,” the snide little script that you could send people who didn’t know that people like us use Google to send it to them. The point is the culture keeps changing and changing faster than ever. Our job as leaders and all marketers have the job of leading is what change are you seeking to make? Who are the people like us you’re trying to change and what are things like this? What standard are you setting for the people you are serving so that the culture changes in a way that you’re proud of? It’s almost like you have a spiritual mission to make a difference and to leave this planet and humanity better off than how you found them. If you don’t, you should be a drug dealer or work for Goldman Sachs because those are two good ways to make money if you don’t care about the repercussions of your work. If you do care, that’s the point that we express ourselves maybe not by making pottery or painting oil paintings but by changing the culture and the people in it. That’s what important organizations and people do, we make change happen. Part of the process is to get the world of the person you’re trying to speak with or trying to help. You climb that wall context that separates you from them. Once you’re over on their side of the wall, you try and get what they’re going through, see through their eyes. Then you can start to have a more powerful conversation with them where hopefully they feel gotten by you. It doesn’t count if you get them and they don’t feel gotten, only if they feel gotten does it matter. Seems like your book, This Is Marketing: You Can’t Be Seen Until You Learn to See is about climbing that wall context. It’s getting into their world, seeing from their eyes so that you can be seen, you can be part of the conversation and you can create a shift. There are only a dozen things that human beings want. Nobody wants a handmade leather bag. What they want is the way it makes them feel. What are the feelings that people want? They want to be not hungry. They want to be not cold. They want to be not alone. They want to feel like they’re engaged in something important. They want to be part of a community. There’s only a dozen, you can make a list. Marketers have created this huge array of tactics that human beings can use to get those feelings. The pitch is, “If you buy this $12,000 Birkin bag, your status among this tiny community of people will go up. If your status among them goes up, you will feel safer and then you will get what you were seeking all along, which is safer.” The way they sell safer is with the $12,000 leather bag. Translating this is about two steps. One, what are the twelve things people want? The people you’re serving, what is it they want in particular? Two, what are the code words, the tactics, and the methods that the people in this community believe in and can you provide them with one? The real work of culture change is inventing new tactics that they can use to get what they wanted. Howard Schultz invented this concept of the third place of Starbucks that isn’t Dunkin’ Donuts. There are Starbucks where you can go hang out with somebody else and drink a coffee in the afternoon. That was the original idea. It’s not a caffeine delivery service, it is a place to go and connect. Starbucks equals connection, that’s what he sold and that’s what he built. Before that, people wanted a connection. They just couldn’t get a connection through coffee. After that, they could. That is the groundbreaking work that each of us is capable of doing in the small if we choose to focus on what people want and how they believe they can get it. When you talk about inventing new tactics, that reminds me of Tony Robbins’ quote, “All business is just marketing and innovation.” If you’re not doing a great job marketing and innovating, you don’t really have a business. I’m curious what your thoughts are on innovation versus improvisation. For example, I lived in New Zealand for almost eight years and they are masterful at improvising. It’s part of their culture. The Number 8 wire is the status symbol for the country around how they couldn’t afford to import other sizes of wire because of import duties. They were so great and they didn’t make it in New Zealand. The only wire size that they made in New Zealand was number eight. You could make anything with Number 8 wire if you improvise. It’s like using duct tape to fix anything. That’s not very innovative. It’s good. There’s nothing wrong with it, but it’s a far cry from invention and innovation. What are your thoughts about that? There’s just so much depth to that. That’s pretty cool. I hadn’t heard about the Number 8 wire so I can’t visualize it. I’m assuming you mean eight-gauge wire. Improvisation is something that takes training in advance and is done in real-time. Jazz improv or comedy improve, I could never Improv on the saxophone because I’m not willing to put in the hours of practice it takes to make stuff up at the last minute. Innovation is different. Innovation is the willingness to fail so that you can find out something that works. If you say the stakes are too high and failure is not an option, then you have just announced that neither is success. The only way to innovate is to fail and to fail. When we think about the old days at Apple when they used to innovate, they came so close with each one of their giant innovations to it not working at all. Just weeks before they launched the iPhone, weeks before they launched the iPad, just weeks before they launched the Mac, they were going to do something completely different. Only at the last minute were they able to see that they had bet on a failure and then they could do something that would work. They got lucky, but they got lucky because they kept trying. I strongly recommend that everyone blog every day even if no one reads it. The reason is if you blog every day, half of your blog posts are going to be above average and about one in ten of them are going to be in your top 10%. That means that you will get into this habit of doing a lousy blog post because now you need to post something. You will be surprised when you discover that your lousy blog posts are great because if you’re not doing it, you won’t know. If you think about habit as having three components to it, there’s the stimulus, there’s the habit itself or the response, and there’s the reward you get. If you tease those three components out of any habit or any addiction for that matter, you’ll see that you can rewire your brain, rewire your stimulus-response mechanism by scrambling the signal. For example, if your habit is when you sit down on a couch, you go grab the remote. When you grab the remote, you turn on Netflix and start binge watching. The reward is the dopamine from watching the next episode of Game of Thrones or whatever. You can rewire it by simply moving the remote into another room, stick it in a drawer in the bedroom and then have your favorite book sitting in the same place where you normally would reach for the remote. In our hyper-capitalist world, consumers have bought into this idea that they are powerless when they’re insanely powerful. I’m sure there are plenty of new habits that you could install by simply hijacking the old bad habits like replacing the remote. If you blog every day or journal for yourself for nobody else that could turn into some innovation, some invention that you create because you are looking for insight and daily activities. It seems like what you do is you take stuff that is part of daily life. Somebody burns the bacon on your breakfast and then brings it to you, then you have this insight around that. It’s like these daily missives of yours are like marketing parables. Not only can they serve to change other people’s lives and businesses from the insights that you provide them, but it’s fodder for you to make a change in your business and your habits. Any thoughts on any of that? This is a brilliant deconstruction and Cognitive Behavioral Therapy is based on exactly what you’re saying. A key choice though is you have to decide you’re not happy with what the old habits are getting you. I’ve been the first person to say that writing my blog is not particularly difficult but choosing to write my blog was very difficult. There are people who smoke cigarettes and keep doing it because they like it. They like the habit. They think that the benefits of the habit outweigh the fact that they’re going to die from it. Giving them tools to quit smoking isn’t going to help because they like it. On the other hand, if you’re not happy with the way your project is going or the way your day feels, then choosing a different path is important. There’s a difference between persistence and consistency. Persistence is annoying. 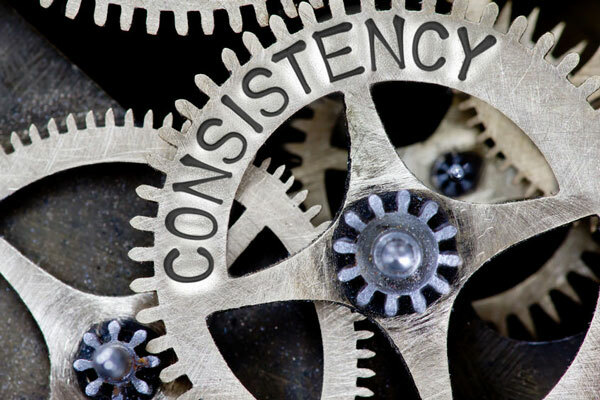 Persistence is what a bad salesperson calls it when they bother you all the time, “I’m just being persistent.” “Alright, fine.” Consistency means you have a strategy, a tactic, a plan and you’re going to consistently work to execute it. In the case of the remote, it’s one thing to hide the remote. It’s another thing to find every day a new way to alter your life so you’re getting more of what you say you want out of it. If you do that consistently, you only have to choose once to go down this path of consistently building a better life. That is way easier than having to rouse yourself every day to be persistent at something you don’t believe in. I don’t even use the word persistent in my vocabulary. I much prefer the term perseverance. 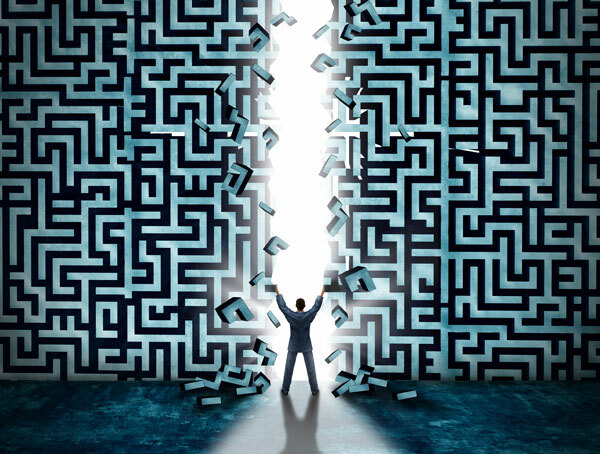 When you persevere, you are overcoming obstacles, you are learning from the challenges. Each challenge is a gift. Then when you persist, it’s like you are railroading, hammering on somebody until they acquiesce. Perseverance is internal, persistent is external. This is turning out to be more of a spiritual episode than I thought it would be. Adding value is a spiritual mission and every business should be in business to add value. I don’t think they’ll be in business for long if they’re not. It aligns well if you’re adding value, that’s a spiritual endeavor. Let me put a little checkbox here, which is where this breaks down is when the institution has power. When the institution has power like in the US we’re at Comcast cable, which is one of the most hated companies in America. They have power because they’re a natural or legislated monopoly in many segments. Therefore, they have shifted their mindset to, “How do we serve the shareholders and our senior employees by maximizing short-term profit on a quarterly basis, so the stock price goes up, so we get richer?” They will continue to do that for as long as they can. In some cases, a company with enough assets and power can do it for 50 years. We are surrounded by organizational bureaucracies, for-profit and nonprofit or government, that aren’t in the mindset of service but are in the mindset of using their leverage and power to get what they want, not to help the consumer get what they want. That fork in the road is important to consider. 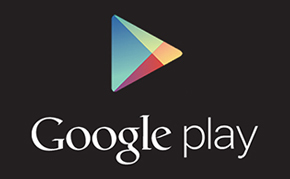 When we think about our friends at Google, they crossed that line a few years ago. I don’t think that most of the work that Google does that impacts many of the people they seek to serve comes from the same place of service that it used to. I, unfortunately, agree with that. It could be the downfall of all humanity. The AI that they are building could be the AI that decides we’re too much of a pest as a human race on this planet, too much of a scourge and we need to be exterminated. When we’re outpaced and outsmarted by thousands of times over by the AIs, somehow I have a feeling that Google will have been the genesis of that particular AI that makes the decision. It sounds like you’ve read a lot of the science fiction I have. I grew up with a ton of science fiction. That particular Daemon type outcome is extremely unlikely but even if it happens, what are we for? What are we here for if our side effects/effect on the ecosystem is to kill off everything until we’re done? Then maybe the AI is right. If it figures out a way to deal with the entropy of the universe in a net positive, I’m not sure I can argue against that. It’s way more likely that we’re going to end up redefining how a human being spends his or her time because our job isn’t going to be resource extraction. Neither is it going to be any job where we can write down how the job is done. That creates a different world. Marshall Sahlins, who made his name with some important work in the 1960s, pointed out that the caveman had a great life. I don’t want to be a caveman because the healthcare was lousy and there were bugs and you had to sleep on a rock. According to his data, they worked about fifteen hours a week and spent the rest of the time hanging out with their people. The idea that we’re going to enter this post-industrial age is getting more and more likely and the disruption to our planet is going to be significant. I don’t think anyone has a real understanding of what that’s going to be like, but it’s going to happen in my lifetime. The singularity, which we could go down that rabbit hole but we probably shouldn’t, is something that is probably an inevitability. Who knows what the end outcome of that singularity is? The definition of a singularity is that all known laws of the universe and prediction break down so it’s anybody’s guess what’s on the other side. Along those lines, I know you’re not a big fan of the various industrial complexes. I would love to go down a little bit to that discussion around what those industrial complexes are and why fight them? The original one was the military-industrial complex named by General Eisenhower. The idea was corporations that make weapons earn enough money to hire lobbyists. Those lobbyists influence the government to have more wars so that those wars will buy more weapons. The side effect of the military industrial complex is obvious, and it fueled the Cold War for a long time. The TV-industrial complex, which I named, is the idea that people in the media make money if we spend more time watching the media. Various world events and horrible tragedies occur largely because the person who’s perpetrating them knows they’re going to get on television, so the cycle persists. Not only that but as the TV-industrial complex shifted to the social media industrial complex, the side effect of addictive supercomputers in our pocket is not that we got better. It’s that we got more addicted to the supercomputer in our pocket. A feature gets added to software not because it helps human beings achieve what they want but because it helps the software company get more eyeballs, so the cycle continues. If we look at people who are truly happy, it is negatively correlated with how much time they’re spending checking Facebook. What I’ve been trying to point out is that the TV-industrial complex was largely disrupted by the internet. We are now newly encumbered by the social media industrial complex and it’s not making us happy. I deleted the Facebook app from my phone again. I keep deleting it and then I reinstall it so that I can do a Facebook Live. Sometimes I drift and end up leaving it on there and getting sucked back in. I just delete it again and I’m not going to reinstall it unless I need to do a Facebook Live. I’m committing to not reinstalling or to de-installing it as soon as I’m done with the Facebook Lives. Are you familiar with the Center for Humane Technology and Tristan Harris? I am. I give Tristan a huge credit for coming over to the other side. I want to give a couple references to people. I mentioned a book called Daemon. If you like science fiction, it’s opposite of another AI book called When H.A.R.L.I.E Was One and they’re both good. For you, there is a piece of open source software called OBS that runs on a desktop and you can do Facebook Live with it. The quality is better, and you don’t have to install an app. I know and I have Wirecast, which is even better than OBS. I will start using it. I’ve owned it for six months. I’m on the license for it and haven’t used it once yet. Thank you for that. Are you familiar with the book, Snow Crash, by Neal Stephenson? Yes. I’ve spent some time with Neal. Snow Crash and The Diamond Age, I don’t believe they were written by Neal. I believe they were written by a space alien who traveled through time. To have written those two books ten to fifteen years before the world made them true is astonishing. The internet company I started in ’92, Yoyodyne, where we invented email marketing, I made every employee read Snow Crash. The thing about it is if you read it now, you’re like, “Of course,” but to read it before current events and technological events and to think someone made up all this stuff is astonishing, and The Diamond Age is even more than that. Some of that stuff still hasn’t come to pass yet in The Diamond Age. I’m looking forward to the interactive movies that they talk about, of having actors that come and interact with you during the scenes. It’s going to be amazing. Let’s talk about your mentors. I know Zig Ziglar was one of your mentors. He was amazing. I’d love to hear who were your other mentors and what Zig and those mentors did for you? I want to distinguish the mentors and heroes. I’m a big fan of heroes. Heroes scale. You can engage with the work of somebody and then ask yourself the question, “What would that person do?” You could be for example, in your case, someone’s SEO hero. They’ve read enough of your work. They can say, “Given this problem, what would he do?” I’ve had many heroes in my life. I’ve been lucky enough to know some of them personally, but I don’t want to let people off the hook and say you don’t get ahead if you don’t know your hero. This mentoring thing is tricky because mentoring doesn’t scale. The number of people that Zig Ziglar could take under their wing is very small. That doesn’t mean you won’t succeed, it just means you should look for heroes instead. With that said, my mom and my dad were amazing mentors to me. Zig, his selling stuff certainly helped me, but it was the goal setting and the motivational stuff that made a difference. He was a hero. I worked with him a couple of times but not as a mentor. My first real job was at a company called Spinnaker Software and President David Seuss kicked me into shape and helped me understand what it meant to have a job. I am lucky to call my hero Steven Pressfield a friend and his book, The War of Art, has made a huge difference in my life. People like Krista Tippett who does a show called On Being. My friend Jacqueline Novogratz runs the Acumen Fund. These are people who are helping me see more of humanity and less of the bottom line of what a business can do. They’re everywhere I look and I collect them because all of us are smarter than any of us, and everyone has something we can learn from. There’s a difference between persistence and consistency. Persistence is annoying. Consistency means you have a strategy, a plan, and you’re going to consistently work to execute it. I remember you talking about The War of Art. 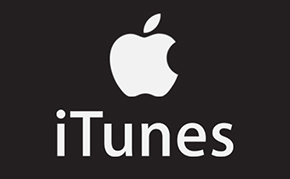 It might have been Tim Ferriss’ podcast and how that book changed you. You discovered it way too late. You wondered why you hadn’t found it so much earlier because it’s not the kind of book that everybody hears about like Good to Great or The 4-Hour Workweek. Do you want to say something about The War of Art for those who haven’t come across that book before? That reminds me of Dan Sullivan talking about procrastination as a compass. The things that you procrastinate the most are the things that you should be working on. That’s completely a side effect of resistance. It’s true. Another thing too is when you describe the resistance, I was thinking the drift from the book Outwitting The Devil. Think and Grow Rich is one of the most sold books of all time. Napoleon Hill also wrote another book which was not published during his lifetime. It was later published eight years after his death and it’s called Outwitting The Devil. It was a rough manuscript, but it was very potentially contentious for the time because it was a conversation between the devil and Napoleon. This drift is about how the devil gets you by your complacency. You’re on autopilot so much of your life and you wake up when some outside force perturbs you enough. If you buy into the drift as so many of us do, then we end up in the highway to hell. That’s a powerful book. I encourage you to read it and let me know what you think. That phrase, the drift, is absolutely spot on. That should be the title of the book you write next. I’m curious if you have any particular place in your house where you sit and you think, you’re in big picture mode. Keith Cunningham has this thinking chair that he always sits in and he does not sit in it unless he’s going to do a big picture thinking. He doesn’t bring his laptop there. He doesn’t sit and just verge out. Do you have a place like that or a way of doing what Keith Cunningham does? This is terrific. Chip Conley taught me this in 1982 at Stanford. He got five of us a room at the Anthropology Department every Tuesday from 5:30 to 8:30. It was the only time in our lives we would ever set foot in that room. In that room, the only thing we were allowed to do was brainstorm. Over the course of a semester, we came up with more than 5,000 business ideas and that room triggered all sorts of associations. My takeaway from it over time has been the room isn’t what I need. What I need is to decide that that’s what I’m about to do. My cues involve a laptop, a certain kind of MacBook Pro running, and then putting myself into a chair that could even be on an airplane and saying, “Over the next period of time, this problem will be solved with my fingers and I just type. I don’t edit and I don’t go back, I just create. I wrote the book The Dip in 21 days. I wrote a book Unleashing the Ideavirus in 21 days because I thought about it a lot before I sat down but then I said, “All right now.” I believe that is difficult and, for some people, non-actionable way to solve these problems but that’s how I do it. It’s not that I have a chair, it’s that I have a trigger. Are there any particular tips or tricks that you want to share that help grease the wheel of that creative process? For example, if I’m going to be in innovation mode and dreaming up a new product or service, I might think about disruption, disintermediation and gamification, those sorts of buzzwords and see what I can germinate from there. Do you have any process that you want to share? The essential tip and trick, there’s only one as far as I’m concerned. It’s the willingness to be wrong, a willingness to have bad ideas, a willingness to write mediocre sentences. If you can’t make that happen, you’re never going to do anything. This need to fit in the way we did in seventh grade and get an A sabotages everything because you cannot get an A without getting a D, C and B first. All of the productive insightful creators that I know, every one of them, that’s how they do their work. They do drafts. They don’t sit down and write a novel that wins a Pulitzer Prize without hitting the backspace key once. The saying goes that perfectionists think that they have unreachable standards, but they have no standards because they never start. They never finish. They never produce a result. They never release the product. The other half of it and the source of most people who are workaholics is feeling like you need control. The reason to be always at work is that you’re on duty. If something goes wrong, you can extinguish the problem. Part of what it means to put something into the world is you have to give up control. You have to say to the customer or to the internet, “I made this. What are you going to do with it?” Then someone else is going to take what you made and do something with it. You cannot be there to say, “No, don’t touch that button.” You get used to the idea that some people are going to hate it and then it’s going to break. That’s okay because that’s the price. The guy who invented the ship also invented the shipwreck. If you have a tribe or what Kevin Kelly calls 1,000 True Fans and you have been a very good curator of these true fans. They can be a good shepherd for you for that product, that service, that idea and turn it into something great or help evolve it into something even greater than what it already is. If you haven’t put your thought into that tribe in how to attract the right audience who is on the same wavelength with you or at least is on an elevated vibration, then who knows what’s going to happen. It’s like you’re throwing it to the wolves that wonderful idea or that wonderful product. Any thoughts on creating that tribe? If you’re not getting booed off stage, you’re not trying hard enough. Have you ever been booed straight off stage? Yes, pretty close. Not actual booing but for sure crickets. The book I worked the hardest on of everything I’ve ever written was called Survival Is Not Enough. My slide deck for Survival Is Not Enough is beautiful and I also worked hard on that. I got up after the success of Permission Marketing in front of eager audiences. I’m doing my thing and no one’s getting it. The book failed. No one got it because people hate evolution and evolutionary theory. It makes them uncomfortable and it didn’t work. I was super proud of all of it. At that stage in my career, it would have been super easy to write the Permission Marketing handbook. Instead, I wrote something that got me booed off stage and I learned a ton from that. What was the biggest thing you learned from it? I learned that it wasn’t fatal. My publisher fired me and my publishing career was over. It wasn’t fatal. It all worked out. If I treated it like it was fatal and retreated into sequels and standing still, you and I wouldn’t be talking right now. My reputation isn’t that I’m always right. My reputation is that I’m sometimes interesting. It turns out that’s scarcer than things that are right and so that’s what I do. In terms of this tribal thing, most people don’t have a tribe. I don’t have a tribe. What you have is the chance to narrate for a tribe that would be there with or without you. That’s the distinction between that and 1,000 True Fans. The tribe of people, the ones that Fast Company organized, the people who regularly go to tatter often show up on a certain discussion board. That tribe is there. They have a code, a language, goals. They have people they look to. If you can earn the privilege of for a while narrating for them, shining the light for them, talking with them, you can make an excellent impact on the world doing that. We begin by finding, amplifying, connecting and leading tribes of people. Do you start that by storytelling? You start it with empathy. The Harley-Davidson people understood what it was to be a disrespected outsider and understood how the motorcycle could be a symbol for that person. The change that Harley makes is turning these disrespected outsiders into respected insiders. The Harley is a tool to gain admission to the tribe. That happens not by inventing the story of the 1% in Sturgis in the outlaw, it happens by seeing the stories already there, then giving people the tool to get the feeling that that story gets them. Nobody tattoos Suzuki on their arm. They tattoo Harley Davidson though. That’s right because it’s tattoo-worthy. I will point out that several people have sent me JPEGs of Suzuki tattoos. Now, I say almost no one. What kind of person gets a Suzuki tattoo really? Maybe somebody who wants to prove you wrong enough that they want to hear you speak and then go and get the tattoo. Let’s do a bit of a lightning round. What are some of your favorite books other than your nineteen books? I reread a few books on a regular basis. I reread books on contemporary art. Books by Steven Pressfield, Tom Peters. I like Krista Tippett’s book. The Blue Sweater which I worked on with Jacqueline Novogratz, it’s a great book. Science fiction all the time. Replay is the best time-travel book ever written and I think about it all the time. Cory Doctorow’s book Eastern Standard Tribe was a classic. A lot of his books are important and good. I worked with Ray Bradbury years ago, so I reread some of his books now and then. I like trashy nonfiction. I like the old Perry Mason novels, you can eat those like popcorn. I’m not good at literature but I’m good at books that can change the state of my brain. Mentoring is tricky because mentoring doesn’t scale. That doesn’t mean you won’t succeed, it just means you should look for heroes instead. My favorite marketer is anybody who is using compassion to make things better for the people they serve. I don’t need them to be famous. I don’t need them to have money. I just need to have the right intent. Wouldn’t you say that compassion and empathy are different? You used empathy and now you’re talking about compassion. I see those as different. They’re different. Empathy doesn’t involve judgment. Empathy says you came from a place that you came from and you are making the decisions that you are making. If I came from where you came from, I would be doing exactly what you are doing. That can’t be right or wrong, it’s just a statement of based on who you are, what you believe or what you want, you’re doing what you’re doing. Compassion gives us the room to have the humility to accept the empathy to say, “I can’t imagine what it’s like to have come from where you came from, but I’m going to try to imagine it.” That trying could be called compassion. I like the Stanley 1969 spokeshave. I was thinking of internet-type tools. I use it to carve cherry wood canoe paddles and a good spokeshave is a special thing. I’ve switched to a different one, but I can’t remember the name of the brand. In terms of internet tools, I’m in Slack a lot. I use a piece of software called Roon for all my music listening every night. I use WavePad to edit my podcast. I like that one a lot because I’m getting used to it. All I use to edit videos is QuickTime player because it’s simple. I wish most Apple things would follow their own interface rules but they don’t. I have a lot of trouble with the Adobe products because they’re too complicated for me. I used to live most of my day in Mail.app but I abandoned it because the overhead got too high. Now I use Gmail, which I wouldn’t say is a favorite tool but in terms of hours spent, it’s certainly up there. We switched after sixteen years from Typepad to where I am indebted for keeping their promise for sixteen years for $20 a month. Now I’m using WordPress and it seems to do what it says it’s going to do, so I’ll count on that one too. I know that you would get into this space wherein the Typepad editor you knew what you were going to do, that your brain got into the mode. Do you find that it has shifted now to the WordPress interface or are you still writing in Typepad and then copying and pasting? There are certain things that if you start, you know that years from now people are going to ridicule you for. I’m not willing to write in Typepad and copy and paste. I’m learning to write in WordPress and it definitely feels different but I’m not sensing that my voice is changing, so far so good on that front. If you could recommend a new or more innovative strategy to the traditional info marketer approach of putting a Facebook ad up and you drive people to attend a webinar, and then you make an offer for let’s say a Tripwire or something inexpensive free trial and or inexpensive trial. Then you sell them the core product and then you up-sell and all that. If you could give our audience some piece of advice about something that would shake the foundations of that traditional approach to sales funnels or marketing funnels, what would that be? I’ve been writing for 30 years about the alternative. I abhor what you just described. My evidence is simple. There’s nobody who does that for many years in a row. All the people who are doing that a lot seven years ago are gone. If it’s so great, so productive and so useful, where did they go? The alternative is much more human and resilient and it creates more value for everybody. The problem is that there’s a certain group of people, not many, who love to respond to the kind of offer you’re talking about. They’re looking for a shortcut. They’re eager to send money to bottom feeders and they’re always bitterly disappointed. They want that feeling. I’ve made the decision and so have many other people, even though it would be lucrative to work with those people, I’m not going to do it. They want to be disappointed and I don’t want to disappoint them. You forego those people. It’s not for you. I’m not making this for you. You’re making it for people who are more serious, who care more, who are willing to stick something out. You’re making it for people who aren’t looking for come-ons and squeeze plays and shortcuts. You’re making it for people like you and me. Those people are more demanding. They’re harder to make a sale too because they don’t want to be burned by someone. They’re looking for more social proof. The way you serve them is by doing work that’s worth doing for people who care. Do it in a way that has a natural ratchet in it that they will benefit by telling other people. Not because you’re going to pay them but because the network effect of being surrounded by other people who get it is pleasant, is productive for them. The altMBA has had 2,500 graduates. I could easily make it 25,000 if I was able to swoop down and sell it to the bottom feeders with YouTube ads and giant promises, but I don’t want those people. It’s not for them. Instead, it’s doing the work consistently for decades at a time in ways that create values so that people want to talk about you. You change tiny pockets of culture the smallest viable audience again and again in a way that you are proud of and they are proud of. That’s what’s always worked. That’s what you should do. That’s great wisdom to end this episode with. Where shall we send our audience to learn more, to get your book, to take their marketing and their business further with all that great wisdom that you’ve so generously endowed us with? There are 7,000 posts at Seths.blog or type Seth into your favorite search engine. If you want to find out about altMBA, it’s at altMBA.com. All my books are at SethGodin.com. I’m not hard to find. People, if they’re looking for me, will find me. Thank you so much, Seth. This was such a wonderful conversation. I’m sure that our audience got a ton out of it. We’ll catch you on the next episode folks. 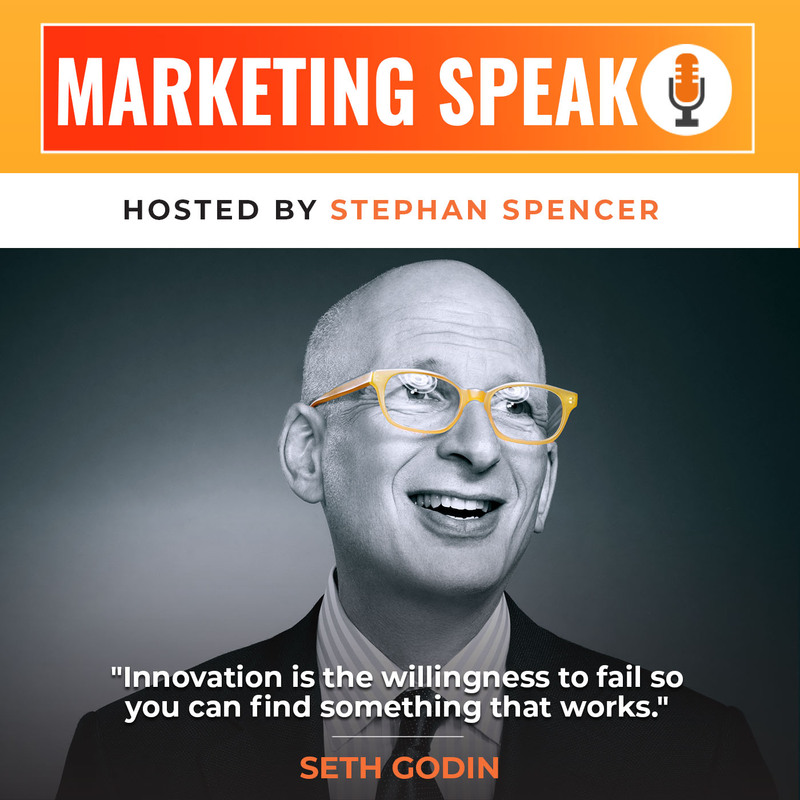 Seth is an entrepreneur, best-selling author, and speaker. In addition to launching one of the most popular blogs in the world, he has written 18 best-selling books, including The Dip, Linchpin, Purple Cow, Tribes, and What To Do When It’s Your Turn (And It’s Always Your Turn). Though renowned for his writing and speaking, Seth also founded two companies, Squidoo and Yoyodyne (acquired by Yahoo! ).